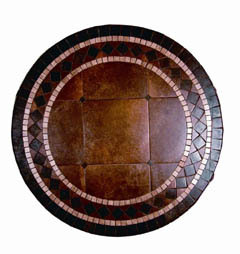 A coffee table is an important piece in the home. 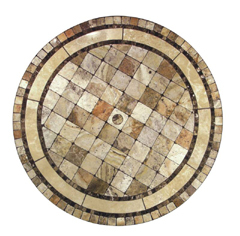 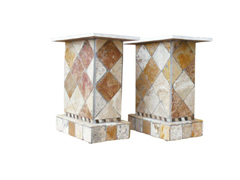 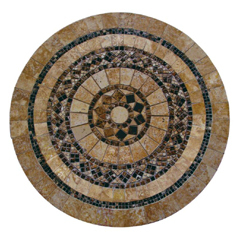 Below you will find a collection of over 40 different coffee table top designs, as well as a series of matched stone bases. 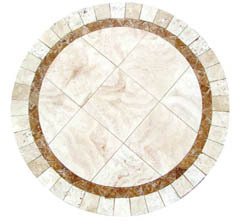 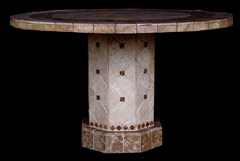 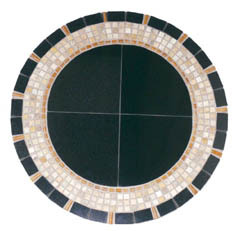 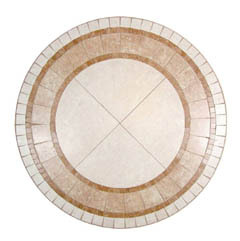 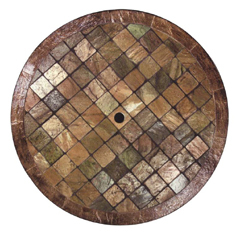 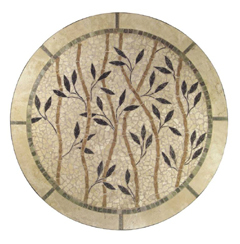 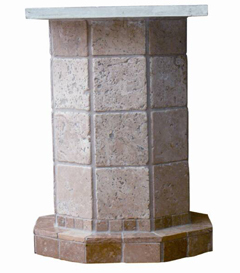 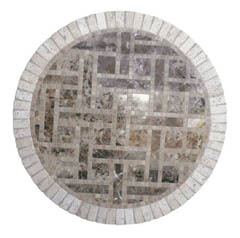 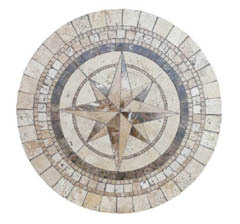 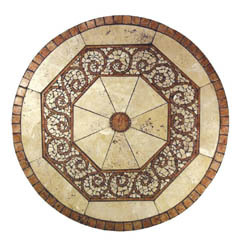 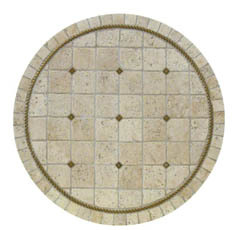 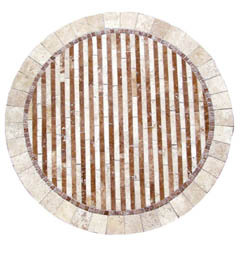 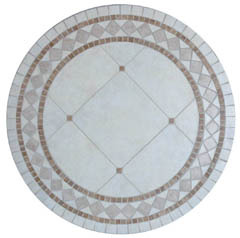 Each design can be crafted into a square table top of virtually any size, as well as a rectangular, oval, or round design in a variety of sizing options. 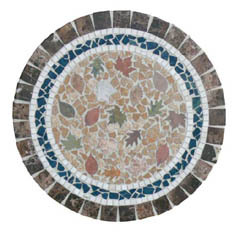 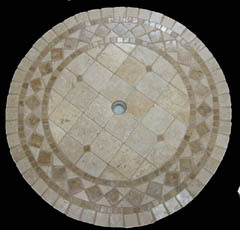 Take a look and see if you can't customize something that is truly special for your home. 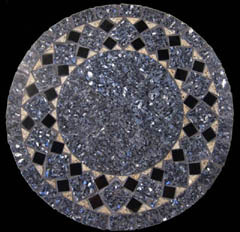 The table pattern shown to the right is a beautiful display of multicolored stones, broken chaos matched to smooth geometric perfection to create an interplay that has a form of dynamic tension, an energy that can almost be felt in its presence. 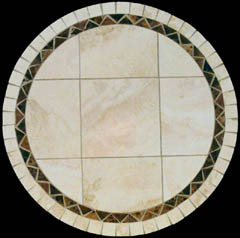 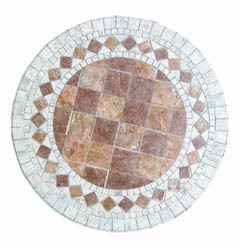 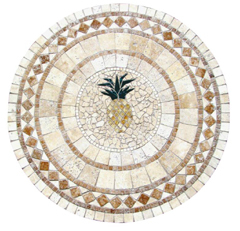 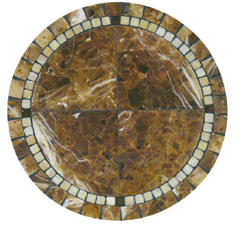 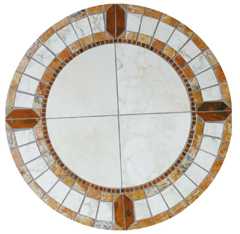 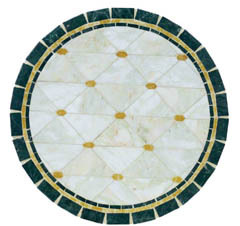 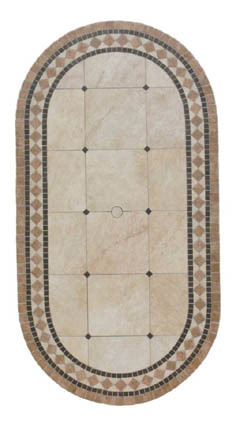 This stunning pattern can be hand crafted into virtually any size or shape that you like, and a variety of square sizes are available standard for this piece. 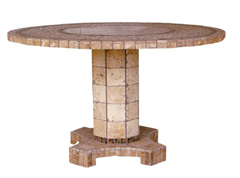 All of our tables are crafted using an ultra durable and super light weight core that makes the pieces relatively light, yet they are also rated to stand up to outdoor elements and so can be used on a patio as well as in the home. 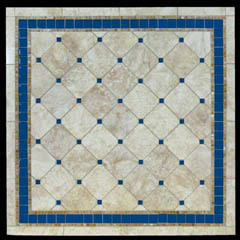 A subdued backdrop of tan natural stone is studded with a repetition of bright blue chips that alight across the surface of the piece in trailing lines of diagonal design, creating a stunning interplay between vibrant and subdued hues. 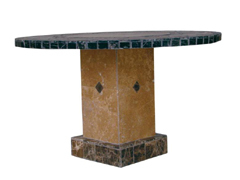 An attractive hopeful image, branches stretching out across the sky, growing, budding, bringing new life into the world, creating a natural back splash of beauty and splendor that is encased in the quiet perfection of the natural stone chips that make up the tables surface. 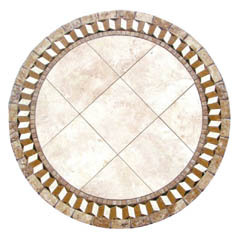 White plates of pure stone sheeting are bordered by pale amber circles, and then punctuated by bright medallions of fierce orange flame, which crown the crest of these attractive coffee tables. 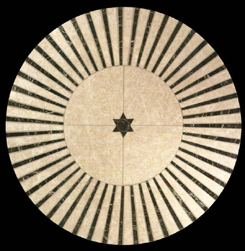 A beautiful contrast of power and subtlety. 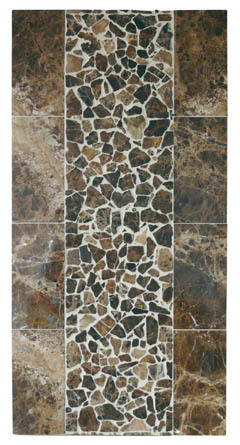 A stunning collection of vibrant tones, a multitude of rainbow hued colors bursting from the subdued backdrop of the predominant gray stone pattern. 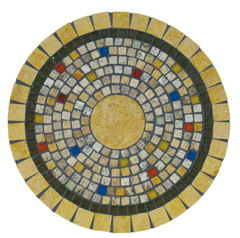 Then bordered in curves of brilliant golden that wrap gently around the outer edge of the piece.